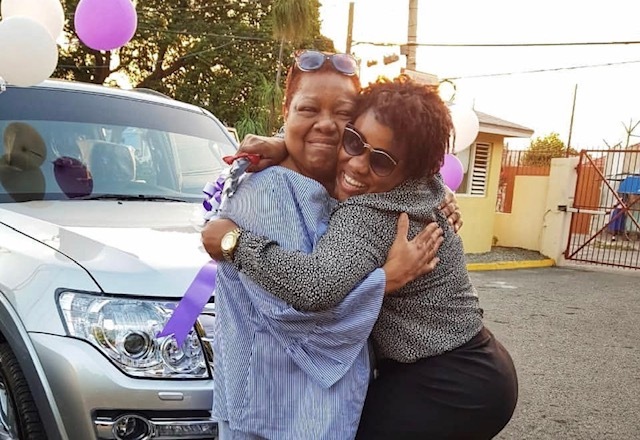 On Monday, Marjorie Hilton, the mother of Miss Kitty surprised the Radio/TV Personality with a brand new 2019 Mitsubishi Pajero for her graduation gift. “Best graduation gift ever!! I don’t have enough words to articulate how grateful I am for my Mommy, all that she has done and continues to do. You are my motivation and my strength. I love you with all that I am and all that I have! Bwoy yuh fix mi real good! Yuh do mi up!🤣🤣🤣💨💨,” Miss Kitty wrote on Instagram. Miss Kitty graduated with first class honours in Law from the University of the West Indies, Mona Campus last year. The popular media personality, whose real name is Khadine Hylton revealed in August that she had completed her degree in Law and hoped that her story could inspire others especially those in the entertainment field. Miss Kitty admitted that it was no easy task balancing school with a full-time job but she was determined to succeed to show persons, particularly women in entertainment, that they don’t have to sleep their way to success.